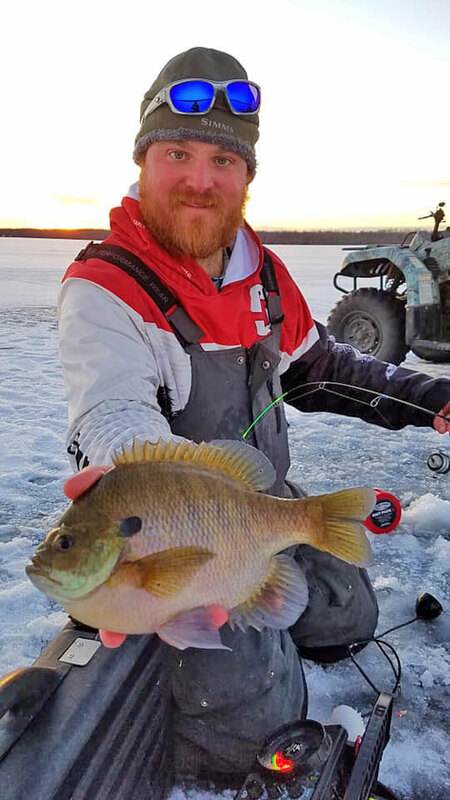 Ice fishing with Grand Rapids Guide Service on a Minnesota Lake is an experience not to be missed. 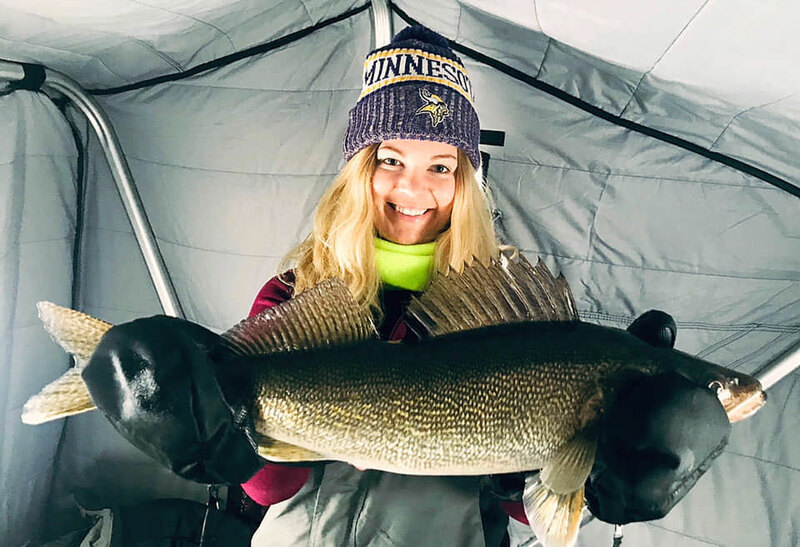 All equipment necessary for a great day on the ice is provided, including Otter thermal portable ice shelters, heaters, fish-finder electronics, rods and reels, tackle and bait. Holes are drilled for you and transportation on and off of the ice is also included. Most of our lake access is made via side-by-side ATV or pickup when safe and practical. 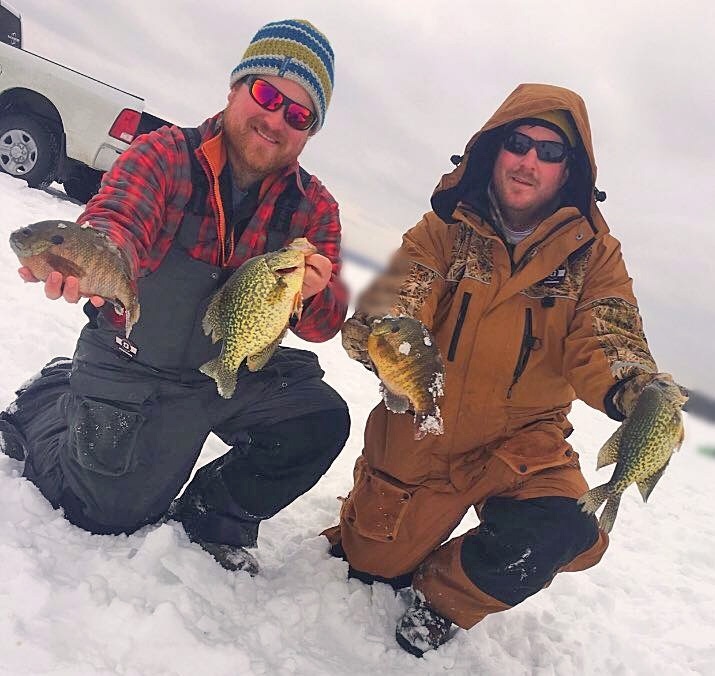 Lyle’s mobile guide service will give your group the best possible fishing trip by being on the best bite and the best ice conditions. 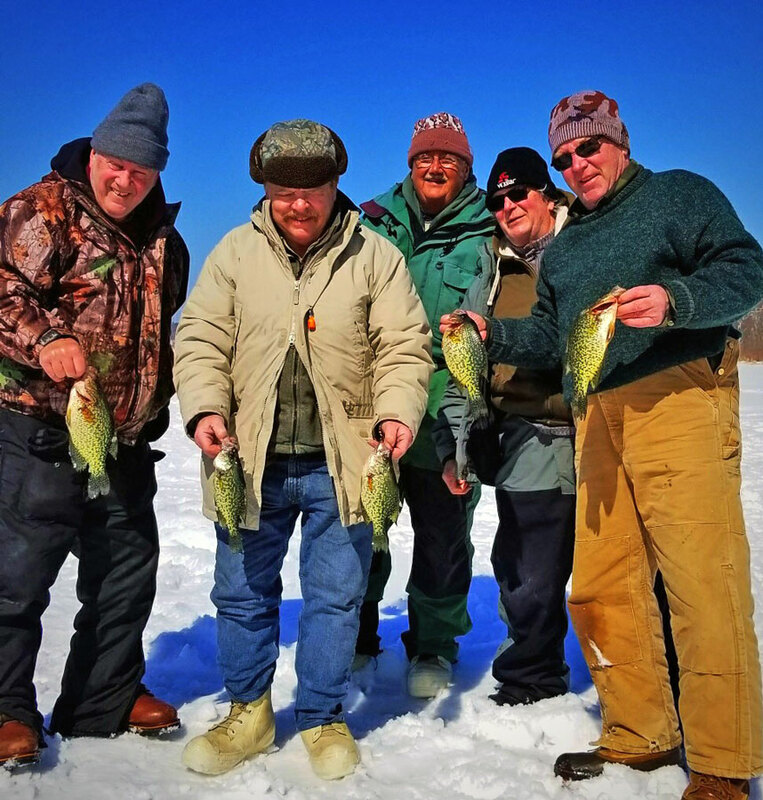 Whether you’re a novice or a seasoned ice angler, Lyle will put you on the jumbo perch, walleye, crappies, bluegill or lake trout and teach you how to safely fish and enjoy yourselves. 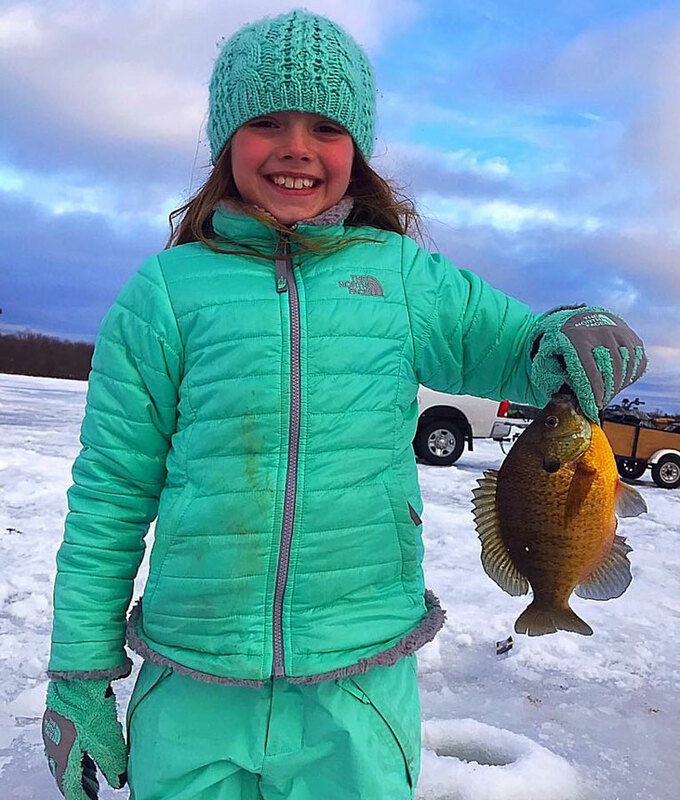 Grand Rapids Guide Service ice fishes many of the premier fishing lakes in Northcentral Minnesota. 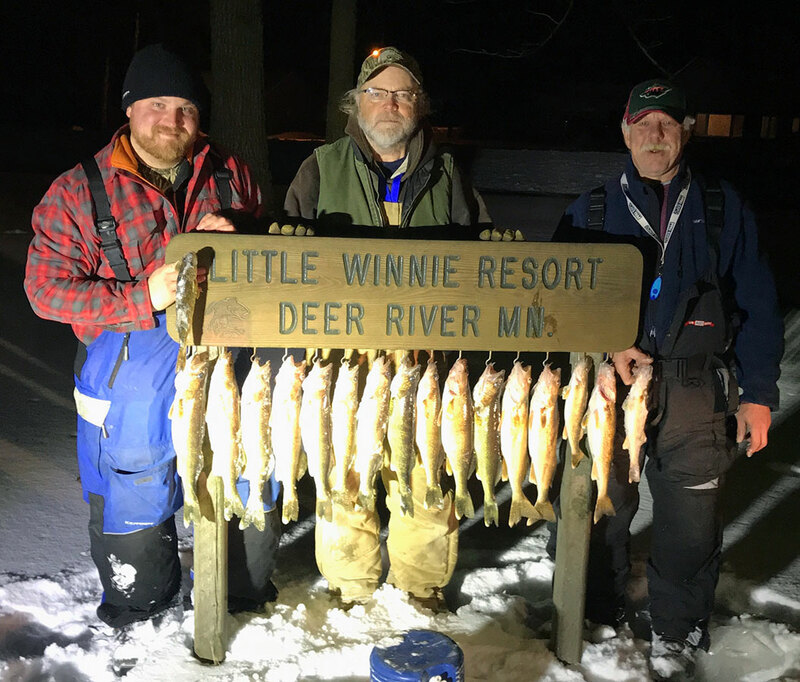 From Lake Winnibigoshish (aka Lake Winnie), Leech Lake, Red Lake, Mille Lacs, Big Sandy, Lake of the Woods, Bowstring Lake, Sand Lake, Pokegama Lake and North Star Lake, to smaller lakes like Trout, Spider and Splithand, Lyle knows all the lakes in Minnesota’s northwoods and how to fish them. 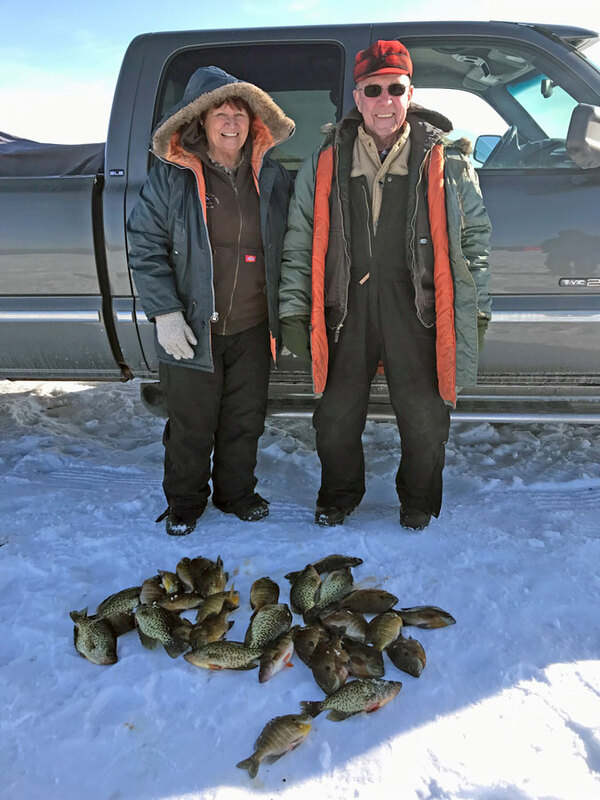 Count on Lyle to find you Minnesota jumbo perch, walleye, crappie, and bluegill. 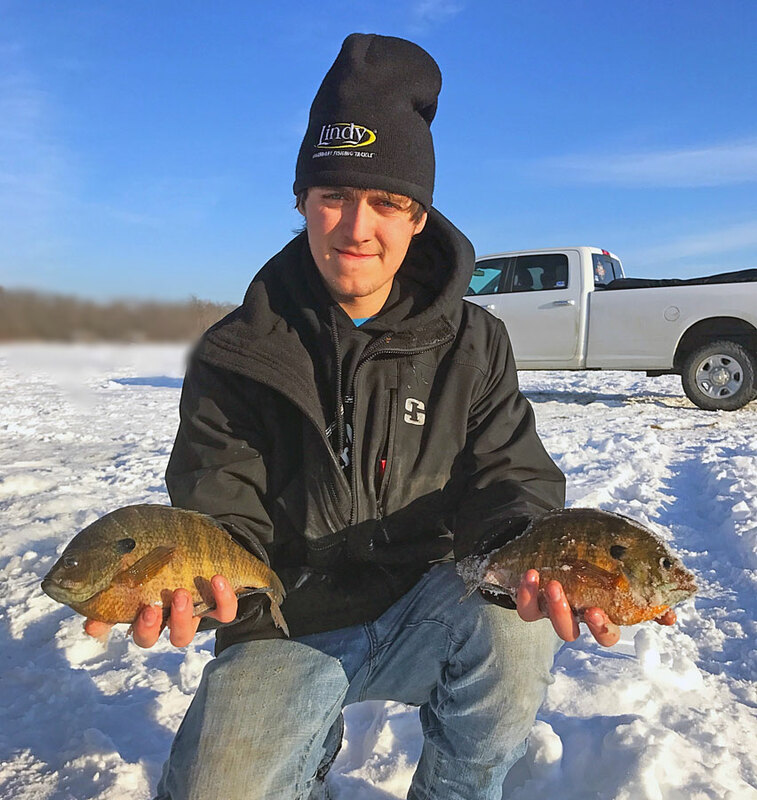 If you’re looking for a Grand Rapids, MN fishing guide for a great day of ice fishing, give Grand Rapids Guide Service a call at 218-259-7140 or fill out our Check Availabilty Form. Lyle’s knowledge of fish behavior and habitat makes a day on the lake the experience of a lifetime. 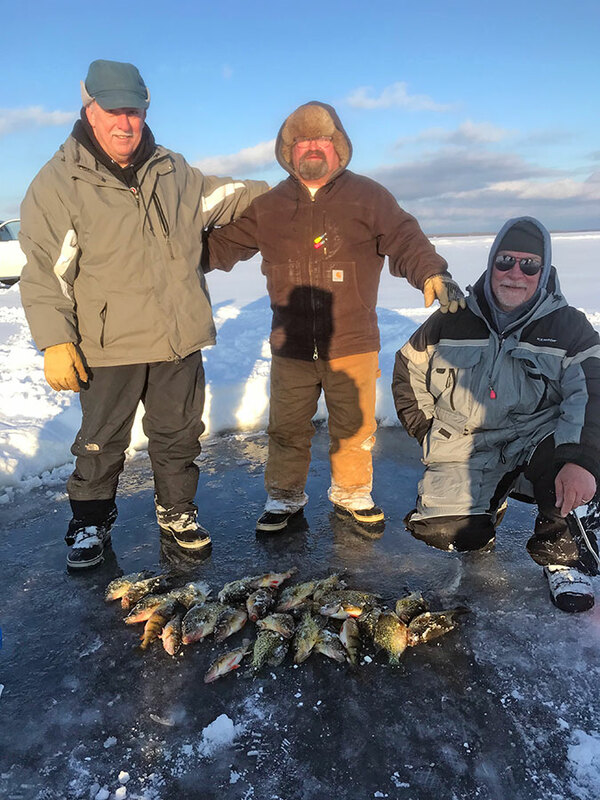 Prices for guided ice fishing trips include local transportation to and from your lodging (where applicable), use of portable thermal ice shelters, heaters, fish-finder electronics, rods and reels, tackle and bait, and the guide’s expertise and great attitude. Holes are drilled for you and transportation on and off of the ice is also included. Requests of specific lakes requires 4 person minimum. Lyle reserves the right to change the body of water, or to cancel a trip, if there are weather or safety concerns regarding safe ice. 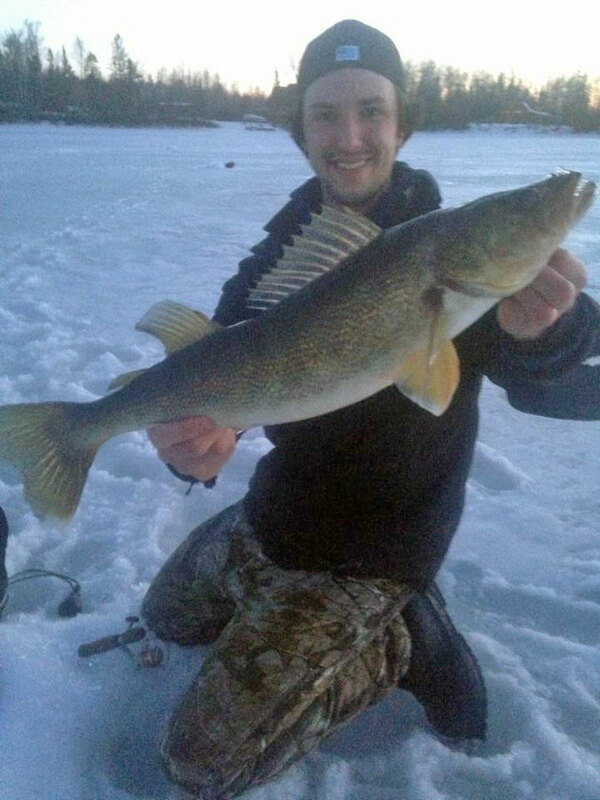 A deposit of 50% is required to hold your reservation for a guided ice fishing trip with Grand Rapids Guide Service. Deposits are refundable if more than 14 days cancellation notice is provided. If less than 14 days we will try to reschedule the trip for the same ice fishing season; otherwise the deposit is nonrefundable. First confirm your fishing trip date with Lyle via our Check Availability Form or phone: 218-259-7140. Alternatively, you may also send check or money order deposit payable to: “Grand Rapids Guide Service” and mail it along with a filled-out and signed Reservation & Deposit Form to the address below. 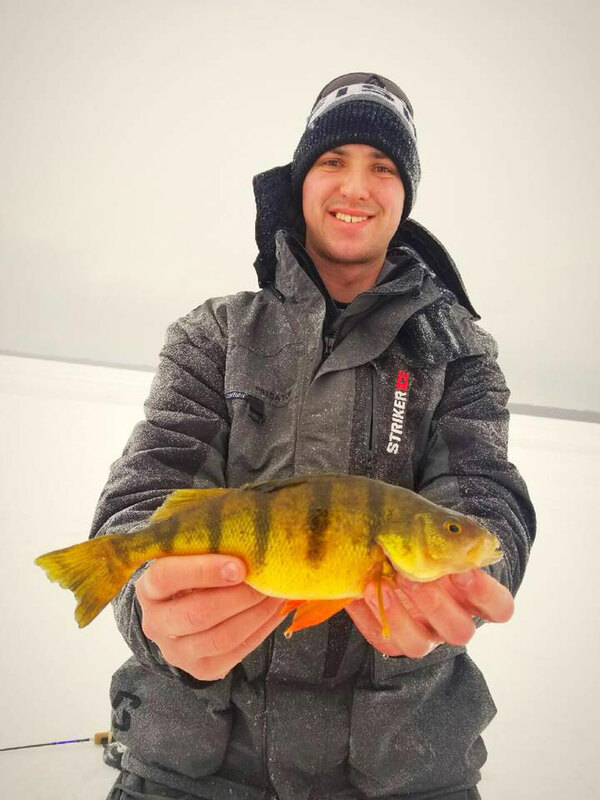 This winter, catch more jumbo perch, walleye and crappies with Lyle Unger, a professional Minnesota ice fishing guide based out of Grand Rapids, MN. 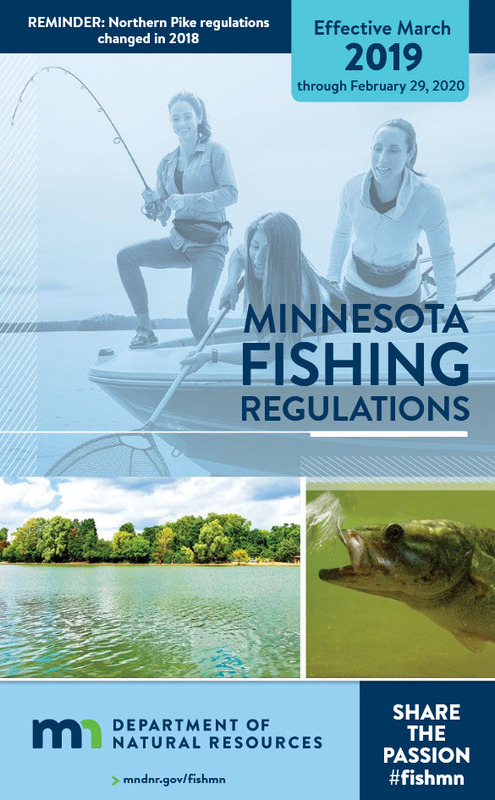 Lyle has guided hundreds of anglers on northcentral Minnesota lakes. 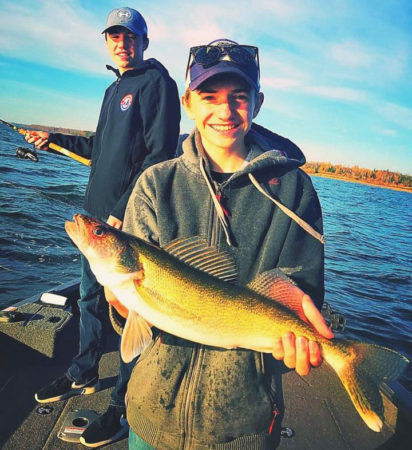 He is fully insured, CPR/First Aid and Advanced Life Support Certified, and has fished the icy waters of northern Minnesota since he was a young boy. 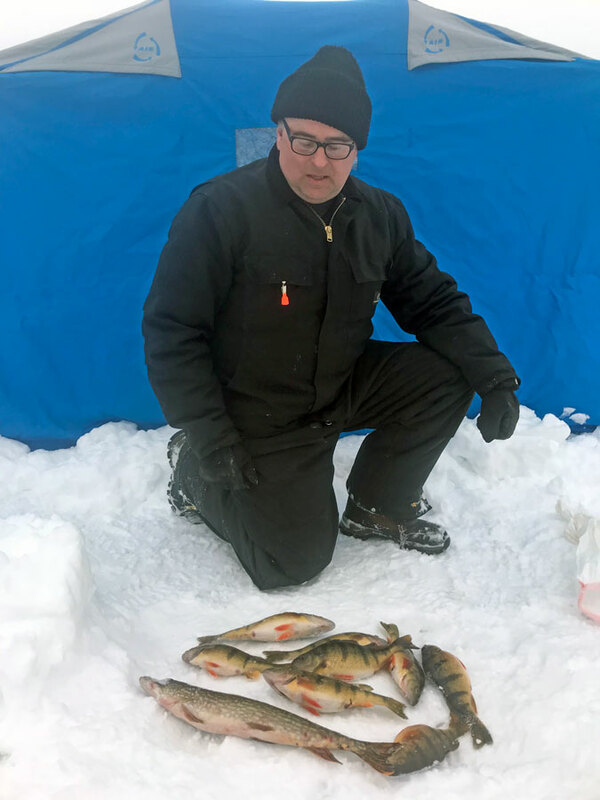 He takes great pride in being a skilled, knowledgeable and enthusiastic guide who strives to make each guided ice fishing trip a great experience for every client. 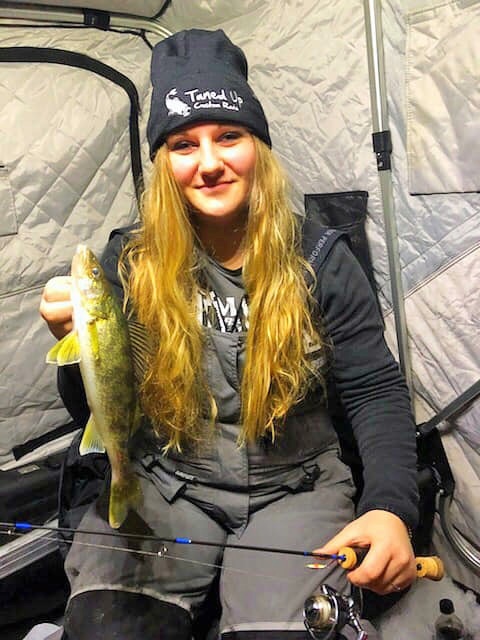 Give Lyle at Grand Rapids Guide Service a call today regarding Guided Ice Fishing Trip Availability: 218-259-7140 or fill out the Contact Us form. 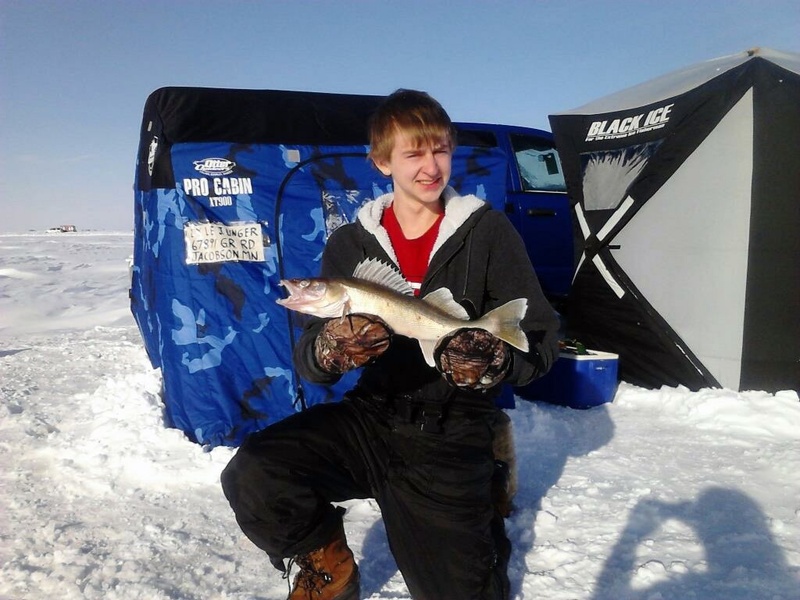 Ready to Book Your Guided Ice Fishing Trip?